If your organization would like to help distribute bikes to needy youngsters, we can help. 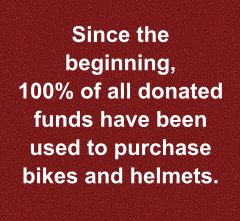 We are setting aside a number of the bikes and helmets we receive for this purpose. It will be important that you let us know if you would like to participate. The bikes are available on a 2 for 1 purchase option. When your organization purchases a bike, The Spokes Group will donate a bike. Your organization must have a board. The request for bikes must be submitted by at least 2 individual members of your organization. Your organization must pick up the bikes on a designated day from the Salvation Army Christmas Bureau. 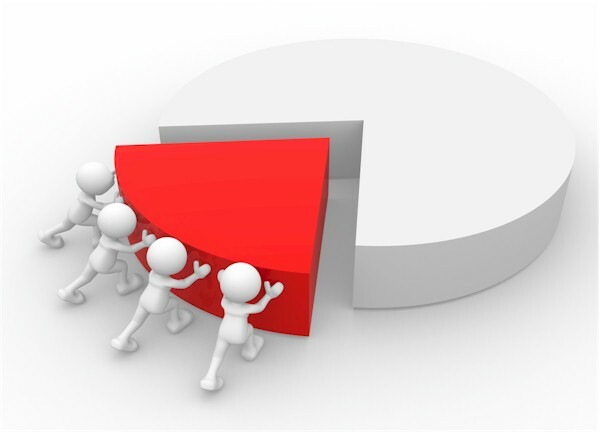 Your organization must submit a generic report to the Spokes Group describing (without names) the families. Your organization must re-request each year for bikes.